Kong: Skull Island, Warner Bros. Pictures’, Legendary Pictures’ and Tencent Pictures’ epic reimagining of one of cinema’s mightiest monster myths, thundered to the top of the Philippine box office, earning a total of more than P77.86-M across 290 screens, with no signs of slowing down. The announcement was made today by Francis Soliven, General Manager of Warner Bros. Philippines. 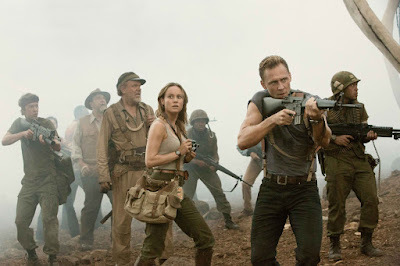 In the US, Kong: Skull Island emerged victorious after a battle of the beasts that pitted the giant ape movie against Logan. Cresting a wave of good reviews, Kong: Skull Island topped the domestic box office, racking up a mighty $61 million which is above expectations. Early estimates had Kong debuting to between $45 million and $50 million. Now playing across the Philippines in 2D, 3D in select theatres, and IMAX, Kong: Skull Island is distributed by Warner Bros. Pictures, a Warner Bros. Entertainment Company.